SMP: 40 GHz/ 50 ohms/ Snap-on (blind mate). Microminiature connectors for high frequency applications with great misalignement tolerances. MP: 40 GHz/ 50 ohms/ Snap-on (blind mate). 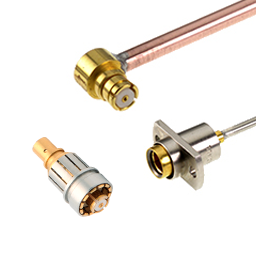 Microminiature connectors for high frequency applications with great misalignement tolerances.